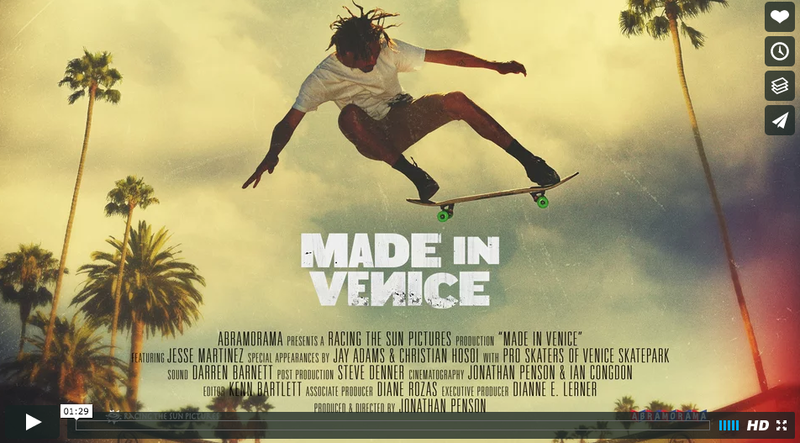 Made in Venice Movie Opening Weekend! After two decades as a photographer, and painter, Jonathan Penson was inspired to enter the world of filmmaking. Since then he has directed and produced several short documentary films. 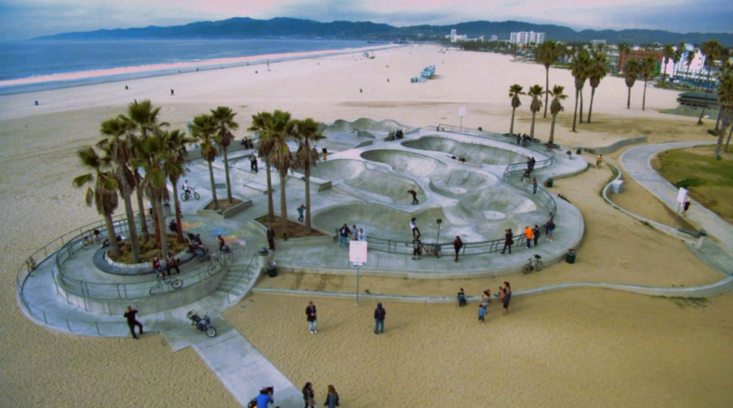 In 2011, turned his attention and camera toward the lifestyle of the skateboarders of Venice (aka Dogtown and telling their story of how the world class Venice Skatepark came into existence. His efforts, along with the contributions from the community, produced the documentary film, “MADE IN VENICE” which is now released in theaters in the US, with global release in the future. A television and film editor with both scripted and reality show experience, Kenn joined the “MADE IN VENICE” team in 2012. Working directly with the Penson, he helped to add an innovative style to the documentary that emphasized the grind of the skateboards, sound effects that accompany almost every move, along with visual and music editing that recreated the tone and mood of the world of skateboarding in the film. In 2012, Diane joined the fledgling production as its writer in order to develop the extraordinary Venice skatepark story into a film script. By that time, she had become involved in various aspects of the production, continuing through post-production, marketing, and activities supporting the distribution of the film. Considering her previous work with local and global groups in both community activism, education, and in cultural projects, the opportunity to guide the telling of the Venice Skatepark story through to a completed documentary film was a natural for the Executive Producer. Sharing the story with skaters globally who are also working hard to get a skatepark is her goal. Darren’s vast experience covers documentaries, reality and series TV shows, and long form TV and feature film, including his recent contributions on the sound team to the 2016 Golden Globe awards, “Mozart In the Jungle.” He collaborates with independent filmmakers to help them bring their projects to life through the power of the soundtrack, including Made In Venice. Todd Gessel -Surfer, Skateboarder, former President – VSA, and currently works as a firefighter for the Forestry Service. Joel Klug – He started as a Reality TV Show talent, and continues to work in entertainment as an executive. Jesse Martinez – Street Skating Pioneer, former President – VSA, 80’s pro skater, co-founder of the Venice Skatepark Foundation. Masao Myrashiro – Skateboarder, Surfer, and is a Hair Stylist in Venice. He is also involved in videography. Sergeant Marc Reina – L.A.P.D.